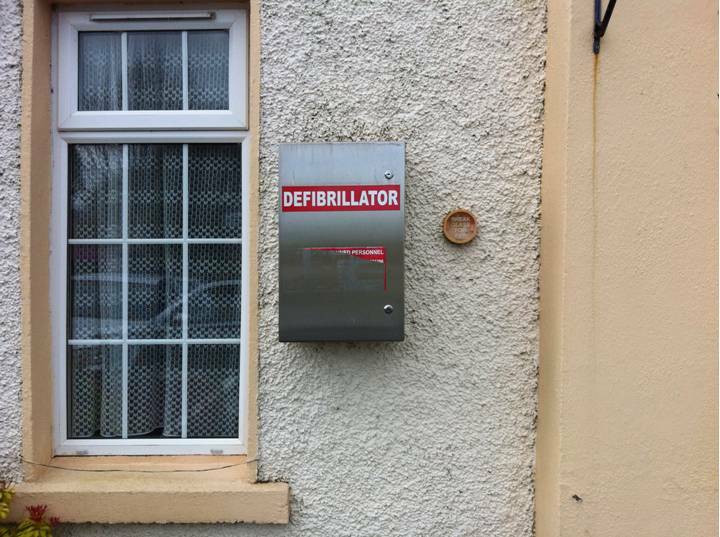 Listed below are the local ​defibrillator locations. St. Mellon's Football Ground. At the corner of the main building. The key to open it is just to the right of the box. In an emergency break the glass and use the key to open the box. Clara Hall. To the left of the main door. ​ The key to open it is just to the right of the box. In an emergency break the glass and use the key to open the box.